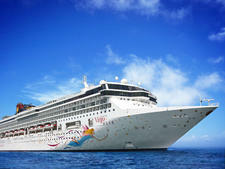 Star Cruises was founded in 1993 to realize the Far East's potential as an international cruising destination. Its mission was not only to encourage Asian travelers to take to the seas but also to attract North American, Australian, European and British cruisers eager to explore the dazzling variety of cultures, cuisines and holiday experiences the Asia Pacific region has to offer. It succeeded to some extent: In its first five years, Star carried more than 2.4 million passengers and captured a 50 percent share of the Far East domestic market. While the line does appeal to travelers from North America, the U.K., Australia and New Zealand, its primary market is cruise passengers hailing from its core region, including Singapore, Malaysia, India, Thailand and beyond. Onboard SuperStar Libra, owned by Malaysia-based Star Cruises, there are authentic touches like tatami rooms, sushi bars and Chinese, Japanese and Indian restaurants. If you want a real taste of the Orient, Star Cruises' SuperStar Virgo is the only serious contender; on this ship, East meets West seamlessly. The big appeal to western travelers of Star Cruises, a pioneering cruise line based in southeast Asia, is that its ships not only take you around Asia -- they also let you experience the Asian lifestyle as you go. All restaurants offer open seating for maximum flexibility. The "Asia afloat" feel extends to onboard entertainment; card rooms are filled with fans of Mah Jong, onboard shows feature spectacularly flexible Chinese acrobats and the ships have extensive karaoke facilities, including private rooms for parties. Service, too, is Asian-style -- discreet, friendly and impeccable. Star Cruises, which operates a no-tipping policy, has one of the highest crew-to-passenger ratios in the industry, with one staff member for every two passengers. 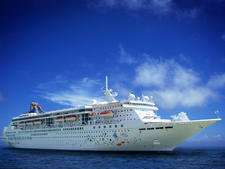 Star Cruises primarily markets to Asian travelers. Folks from other regions might want to consider, for a first Star experience, the more internationally focused SuperStar Virgo, which attracts passengers that range from Malaysians to Japanese and Australians to New Zealanders -- along with adventurous-spirited European and North American vagabonds. The company started with just two ships -- the former Baltic ferries Athena and Kalypso, which it bought for $250 million and renamed Star Aquarius and Star Pisces. A year later, in 1994, it paid $100 million for two upmarket small ships (Classical Cruises' Aurora 1 and 2) that became the Megastar Aries and Megastar Taurus. A year after that, Crown Cruises' 19,093-ton, 900-passenger Crown Jewel joined the fleet as SuperStar Gemini. Star took on the 28,388-ton, 1,430-passenger SuperStar Capricorn (formerly the Royal Viking Sky) in 1997. SuperStar Aries, former Hapag Lloyd's Europa, was added in the fleet in 1998. SuperStar Leo was the first 76,800-ton megaship to be custom-built for operation in Asia; incorporating Asian decor and cuisine, it entered service in 1998 and was shortly followed by SuperStar Virgo, its sister ship. Two new 91,200-ton, 2,244-passenger sister ships originally ordered for Star's fleet were switched to NCL and became Norwegian Star and Norwegian Dawn in 2001 and 2002. The 75,338-ton, 1,966-passenger SuperStar Leo moved across to become Norwegian Spirit. SuperStar Aquarius was deployed in spring 2011, after undergoing a month-long, $1.6 million refurbishment in Hong Kong. SuperStar Libra debuted in winter 2011. This leaves Star with four own-brand ships (SuperStar Aries and SuperStar Capricorn have been sold). Currently, the fleet consists of SuperStar Aquarius, SuperStar Libra, Star Pisces, SuperStar Gemini and SuperStar Virgo. On the horizon: Star announced in October 2013 that it had commissioned its largest ever newbuild. The as-yet unnamed 150,000 ton, 3,200 passenger vessel, to be built at Germany's Meyer Werft, will debut in late 2016. The 18-deck ship will have 33 food and beverage options, a modern theater, a kids' waterpark, 1,000 square meters of retail space and meeting rooms. As the only cruise line based year-round in the Asia Pacific region, Star offers a variety of itineraries which, for the U.S., U.K., Europe and Australia markets, are usually built into packages by tour operators. SuperStar Virgo operates a range of five-night Straits of Malacca cruises round-trip from Singapore, sailing on Sundays and calling at Penang, Phuket, Malacca (as a drop-off for excursions) and Port Klang, with a day at sea. Passengers can also embark or disembark in Phuket and enjoy a beach break: Phuket-based sailings depart on Tuesdays, then offer a day at sea and a call at Malacca/Kuala Lumpur. Passengers then disembark to spend the weekend at a Singapore hotel, rejoining the ship on the Sunday to sail back to Phuket via Penang. Alternatively, Kuala Lumpur and Phuket itineraries sail from Singapore for a brief call at Kuala Lumpur, then offer passengers a two-day call at Phuket and a chance to go exploring on a second KL call (from 9 a.m. - 7 p.m.) en route back to Singapore. Also available are Singapore-based, five-night Bangkok and Ko Samui cruises, which depart on Sundays and make a two-day call at Bangkok after a day at sea. On Wednesday mornings they sail from Bangkok to Ko Samui, where passengers get nine hours ashore before returning to Singapore.